It should go without saying, but being able to get clean water when you're out adventuring, and even when you're not, is essential. Up to 60% of the human body is water, and though consumption needs vary based on a variety of factors, the fact remains - if you don't drink enough water, you're in big trouble. Getting clean water is easy for most of us at home. We just turn on the faucet. But clean water isn't readily accessible in some parts of the world, nor is it always in reach when you're on the trail. 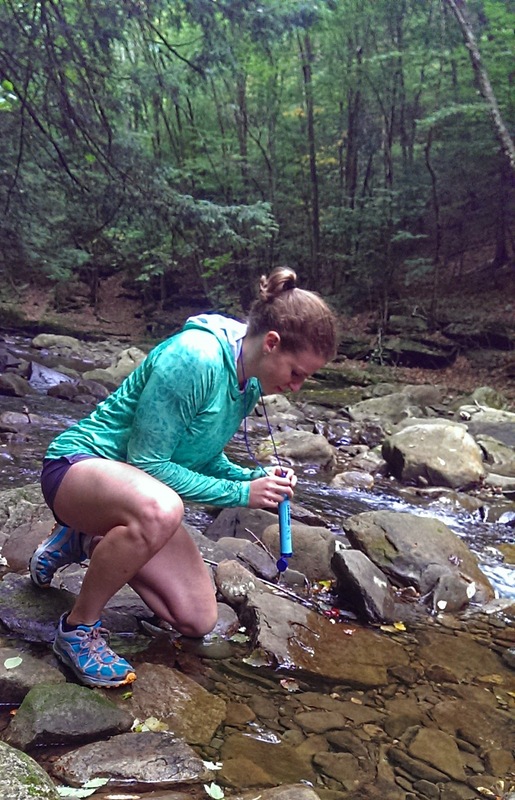 Enter, the LifeStraw Personal Water Filter. It's designed to make getting clean water a piece of cake just about anywhere. It was designed to help people affected by natural disasters, but it's also noted as an ideal way to get clean water in a pinch in the backcountry. So, what exactly is a LifeStraw? In its simplest form, it's a water filter in the shape of a straw. LifeStraw uses a hollow membrane filter, which allows water to pass through 0.2 micron pores while nasty stuff stays trapped inside. According to Eartheasy, the LifeStraw removes 99.9999% of waterborne bacteria, including E-Coli, 99.9% of waterborne protozoan parasites, including Giardia, and reduces turbidity. It doesn't remove viruses or chemicals, which is important to note if you're traveling in places where either is an issue. Each Lifestraw can filter up to 1,000 gallons of water. There are no moving parts to break, and at 9" long and 1" in diameter, it's easy to carry around. The LifeStraw comes with a cap for the top and bottom as well as a lanyard if you're prone to dropping things. But does the LifeStraw work? After prepping the LifeStraw for use per the instructions included in the package, I dropped it in my pack for testing on Old Loggers Path. I was admittedly hesitant, given the consequences if it didn't work, but after taking drinks at various points along Old Loggers Path, I'm glad to report I didn't get sick. During our rest stops, I'd pull the LifeStraw out of my pack, hang it around my neck, walk over to a water source, remove the top and bottom caps, kneel down, and take a drink. The lanyard kept me from dropping the LifeStraw in the water, and he water I drank through the LifeStraw tasted fresh. I did find it awkward kneeling next to a creek on slippery rocks. I'd do it in an emergency situation, but much prefer drinking out of a water bottle standing upright. Filling your water bottle with creek water is also an option. And if you're caught in a situation where you're stuck without a bottle, you can just kneel down next to any water source for a drink. Or, if you're packing light, you can leave your water bottle at home and just take the LifeStraw with you. The bottom line? Given how lightweight and easy to use they are, LifeStraws are great emergency water filtration option for outdoor adventures. I don't see the LifeStraw replacing the MSR pump filter I typically use on backpacking trips, but it'll be great as a backup. And if you're ever in a situation where you question the cleanliness of the water you're drinking, the LifeStraw can help ease your mind. For more information about LifeStraw, EarthEasy is a great resource. 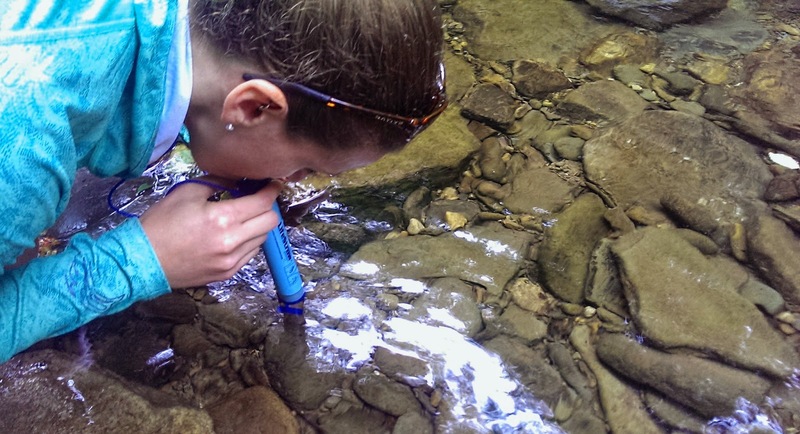 Win a LifeStraw Personal Water Filter! I use a SteriPEN, which is also awesome. The one drawback for it is that it runs off batteries. I ran out of batteries on a recent backpacking trip. Fortunately, I was carrying extra batteries with me. I usually end up carrying a backup (like Iodine tabs) just in case the SteriPEN fails. It would be sweet to have the LifeStraw to avoid that. Yay for lightweight backpacks! I use a Sawyer Mini Filter. They are light and easy to filter into a bottle or hydration pack. Awesome! I've heard really good things about Sawyer's products. I'll have to give them a try! Sawyer Mini, but this has me curious as a day hike option. Yeah, I'm a fan of boiling too! Just tastes better that way :) Glad you think the LifeStraw is so neat! Sounds like Sawyer filters are worth trying out! Thanks for your comment, I'm definitely curious about them now! This is a great tool to have in an emergency kit. Glad you think so too, Billy! It's so light, I can't see a reason to leave it at home. Well boiling is always safe but I'd love to try this. Yep, Joan, it's definitely always safe! 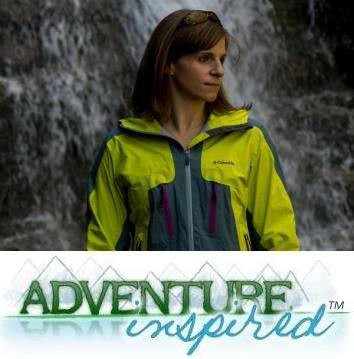 But I imagine myself in an emergency scenario where I'm without something to put water in, which is where the LifeStraw comes in :) Thanks for reading and entering! I would love to try one of these as we all lug reusable bottles around.